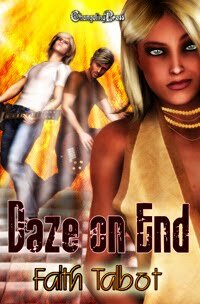 New Cover for Daze on End! Daze on End will arrive on 5-21. 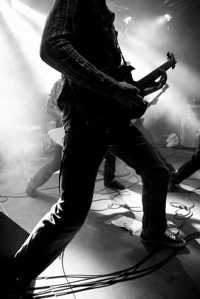 In the meantime, check out the boys' band blog at daze-on-end.blogspot.com for news on what they're up to. I just received a very nice review for my debut Changeling story, Mara by the Sea, from Whipped Cream. "Though short, Mara of the Sea is a beautifully written story that features a ménage that takes place mostly – interestingly enough – in the ocean. Mara's attention is first grabbed while she’s watching the men lather each other up on the beach, but soon enough the three officially meet and share not one but two very unique underwater experiences." --Dandelion at Whipped Cream. In the first book, our trusty heroine Kayla hooks up for what she thinks is a one-time encounter (okay, twice...in one night) with a much younger man who turns out to be the lead singer for Daze on End. But she can't leave Jason behind--he needs her. Literally. And, apparently, so does Erik, the band's bass player. It quickly becomes apparently that these are not ordinary young men, and Kayla must decide if she can abandon the life she knows for the most intense--and strangest--relationship she's ever had in her life. Beautiful Music: Daze on End is schedule for release on May 21. In the meantime, find out more about the band and the boys at the Daze on End blog, as well as in A Cheeky Changeling and the Changeling Insider.